Chassidic music superstar Eli Herzlich opens the month of Elul with a new single that will properly prepare you for the month of Slichos and the Yomim Noraim. Melech Yochid is a song that was composed by Eli Laufer already back in 2003 for camp Bnei Torah. 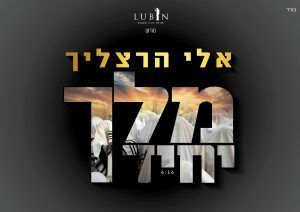 Producer Yisroel Lubin produced this song in a rich way for the world of Chassidic music, with a special inter-generational joint effort. The arrangement and musical production was done by Moshe Laufer and the vocal arrangements were by Moishy Roth, which combined with the beautiful voice of Herzlich, makes for an incredible production.